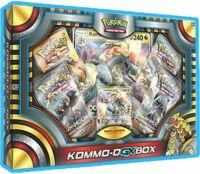 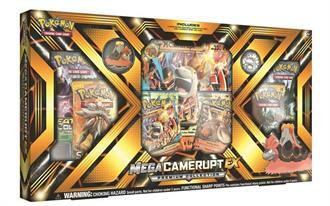 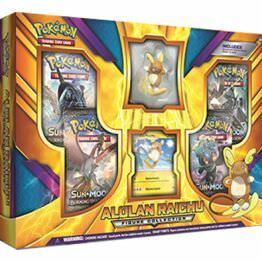 TWO PREMIUM COLLECTIONS STARRING EEVEE’S EVOLUTIONS! 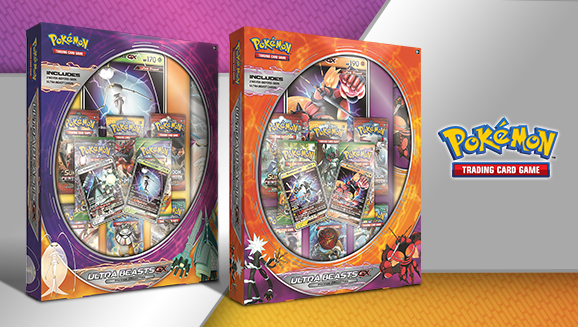 The Sun Pokémon Espeon and the Moonlight Pokémon Umbreon appear as powerful Pokémon-GX in these two Premium Collections! 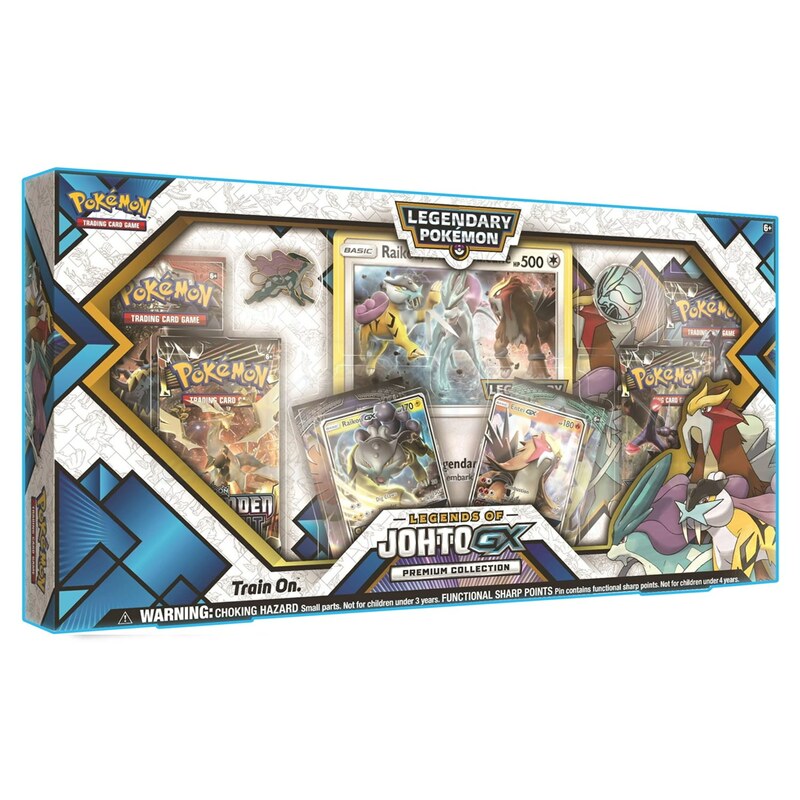 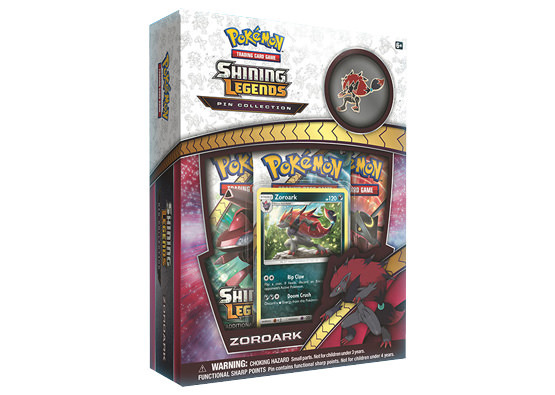 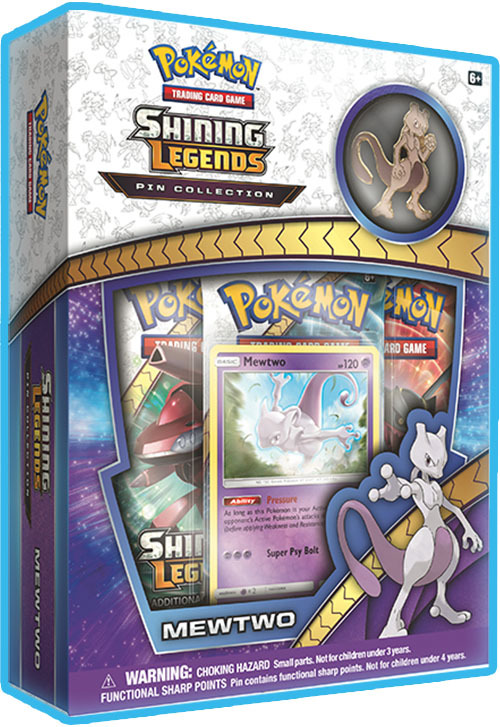 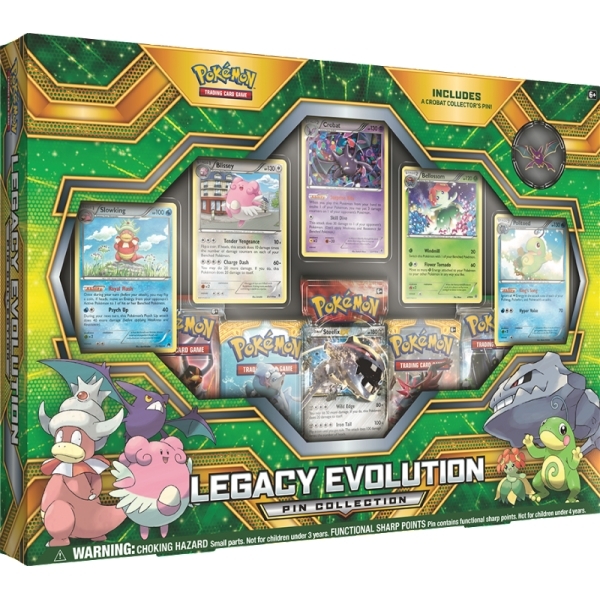 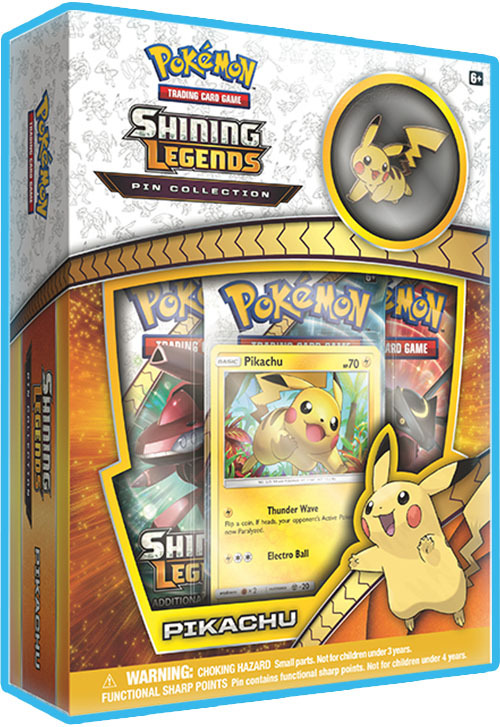 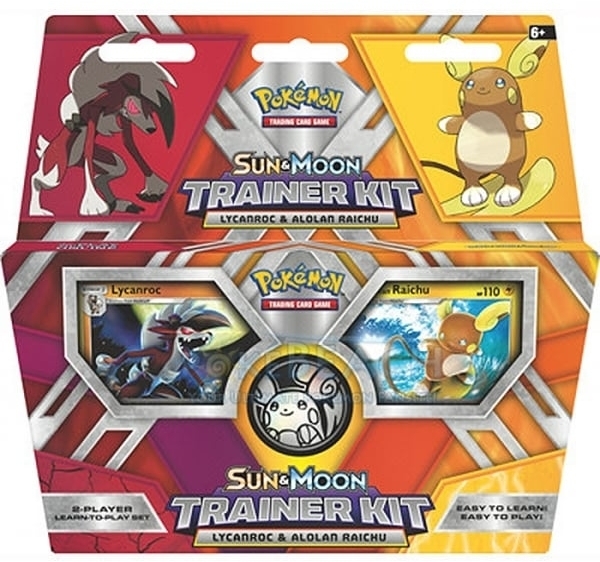 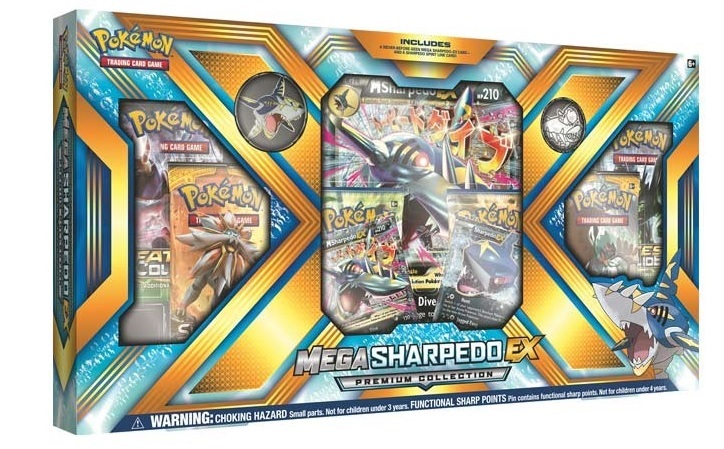 Each collection features the star Pokémon as an oversize PokémonGX card, collector’s pin, and Pokémon coin, and each collection includes three foil cards featuring Eevee, Espeon-GX, and Umbreon-GX. 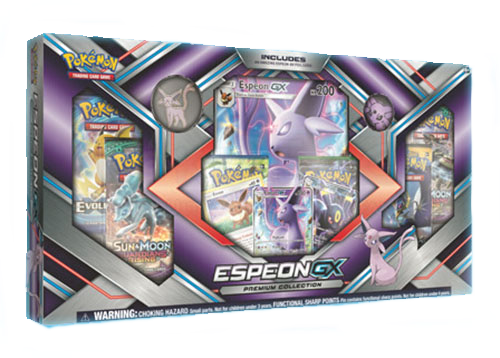 Shine on with Espeon, or welcome the moonlight madness with Umbreon! 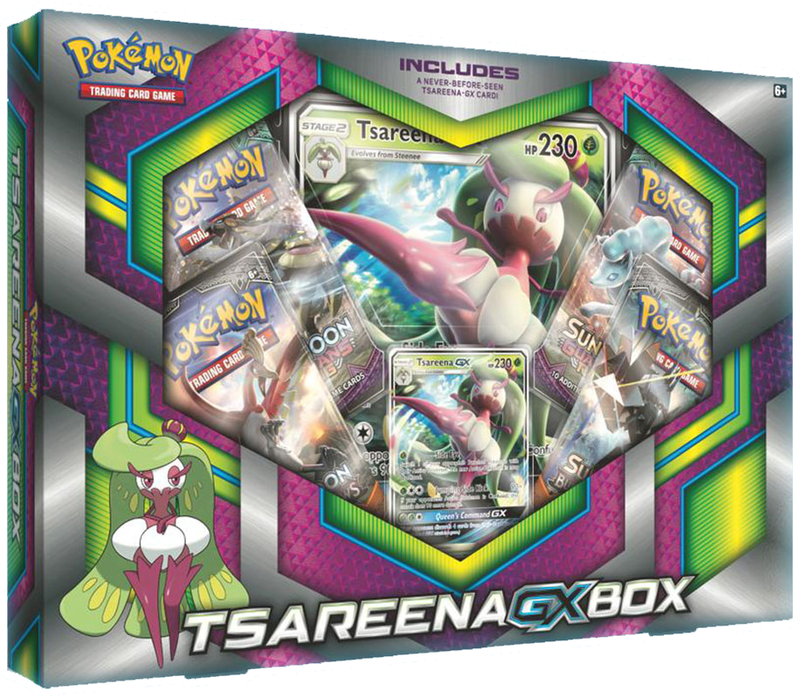 • 3 foil promo cards featuring Espeon-GX, Umbreon-GX, and Eevee!